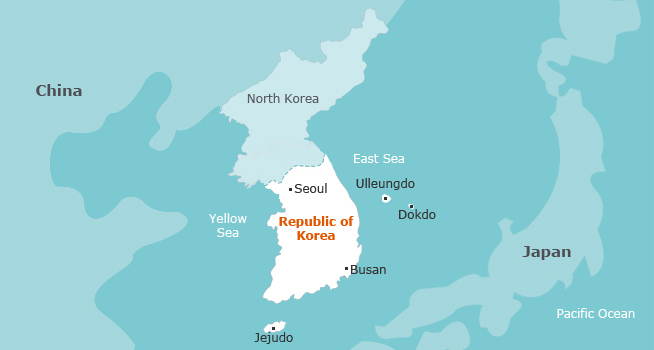 Taegeukgi: The current design of Taegeukgi was finalized on October 15, 1949. It symbolizes the principles of the yin and yang in oriental philosophy. The circle in the center is divided into two equal parts, where the upper red responds to the positive cosmic forces of the yang; conversely, the lower blue section represents the negative cosmic forces of the yin. 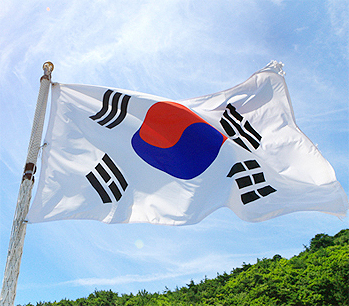 The flag's background is white, representing peace and purity valued by the people of Korea. The circle is surrounded by four trigrams, one in each corner, characterizing continual movement, balance and harmony. 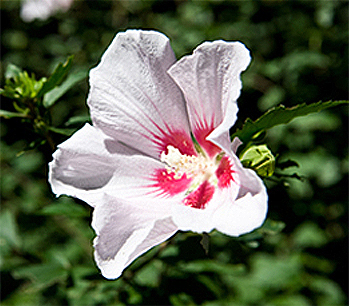 Mugunghwa: The national flower of Korea is mugunghwa, or rose of Sharon, which comes into bloom from July to October every year. A profusion of mugunghwa blossoms gracefully decorate the entire nation during blooming season, providing a view that has been loved by Koreans for many years. The flower’s symbolic significance stems from the Korean word mugung, which means immortal. 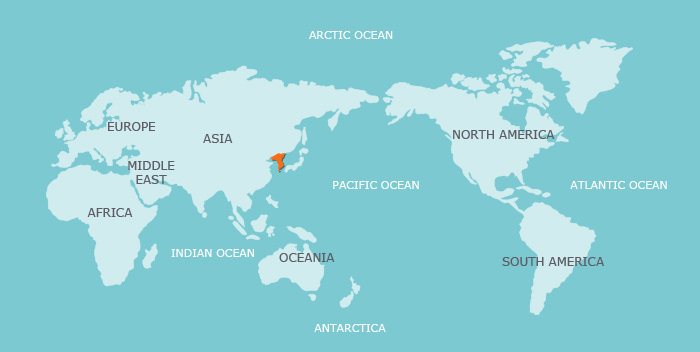 This page was last updated on September 20, 2018, and therefore information may differ from what is presented here.